ATTENTION: Read instructions completely before using! If you do not apply the product per instructions, you may cause damage to your vehicle. Your car's air conditioning system provides heat relief in the summer and clears up foggy windows on cold or rainy days. The ability to pull moisture from the air is also directly related to an unpleasant odor that can develop when running the air conditioner. The core of the air conditioning system which draws moisture from the air in order to cool it and reduce humidity is a haven for pollen, dust, bacteria, mold and fungi due to constant moisture exposure. These contaminants produce an unpleasant odor when the air conditioning system is used and can make the air unhealthy to breathe, especially for allergy sufferers. Klima Cleaner is a highly effective, water-based cleaner for the air conditioning system. 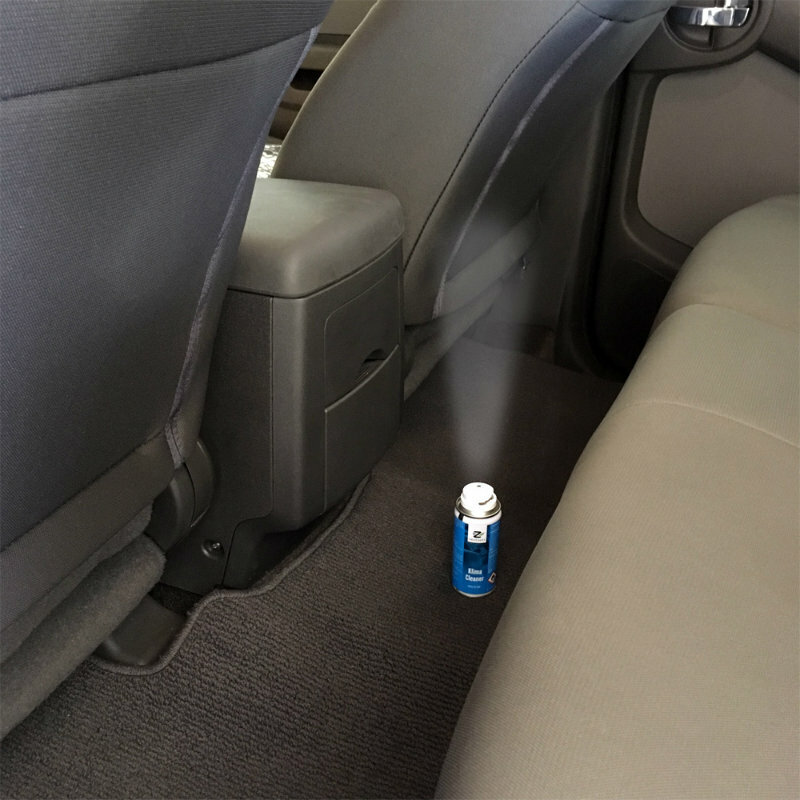 It removes pollen and dust while eliminating odor causing mold, bacteria and fungi. With one treatment, you'll achieve healthier, cleaner and fresher smelling air. Results are long-lasting since Klima Cleaner leaves a layer of protection preventing immediate re-growth of mold, bacteria and fungi. Caution: This application method will require you to disassemble interior trim and is recommended for advanced users only. Nextzett USA is not liable for any damage that may occur if the procedure is done incorrectly. Read directions completely before application. Please do this so you have an idea of what to expect. Once glove box is removed, remove blower fan to have open access to ducting that leads directly to evaporator (you will need to seek instructions for removing the blower fan from your car's vehicle manual, forum boards, etc). A video at the end of this tutorial shows Klima Cleaner applied to a vehicle in which the the blower fan was removed. Shake Klima Cleaner well prior to application. Attach the supplied application tube to the can. Insert tube as far into ducting and dispense entire contents of can - about 2 minutes. While dispensing, hold can as upright as possible. DO NOT invert can. As you spray, the solution will foam on to the evaporator and surrounding evaporator housing. After dispensing product, wait 20 minutes for product to clean the system. During this time this would be a good time to replace the cabin air filter. 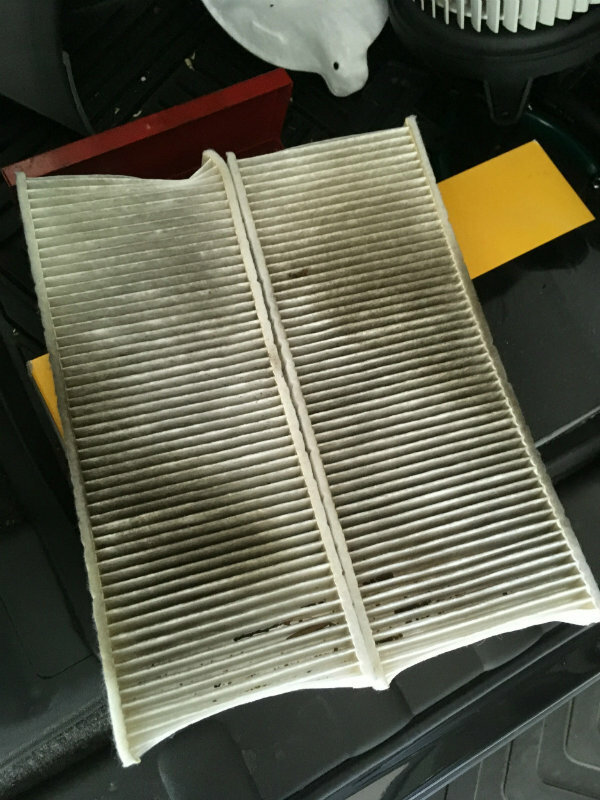 The filter was replaced on this vehicle and you can see how dirty it is. By replacing it with a clean one, you will remove any possible remaining odor causing contaminants, improve air flow, and allow the air conditioner to run more efficiently. Re-install all components such as the blower (if removed), pollen filter (if removed) and glove box. 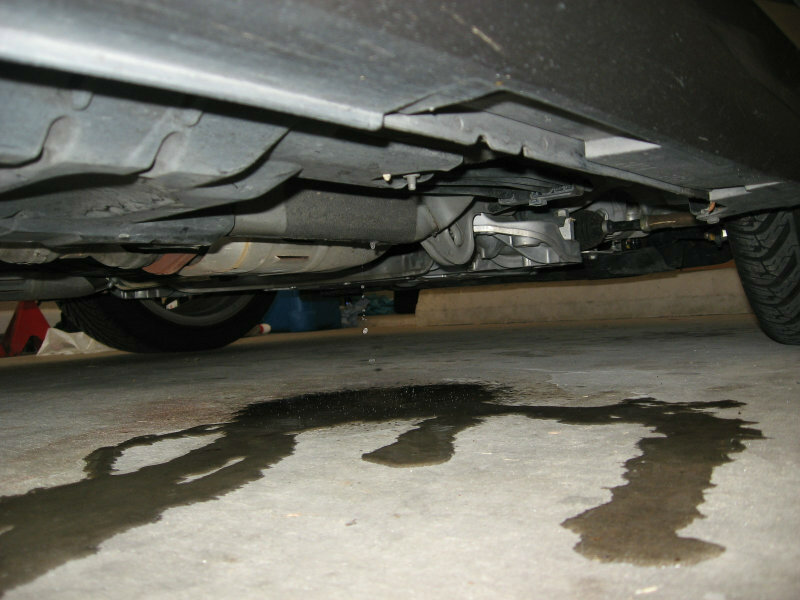 You'll also notice at this time that the product will be draining from underneath the car. 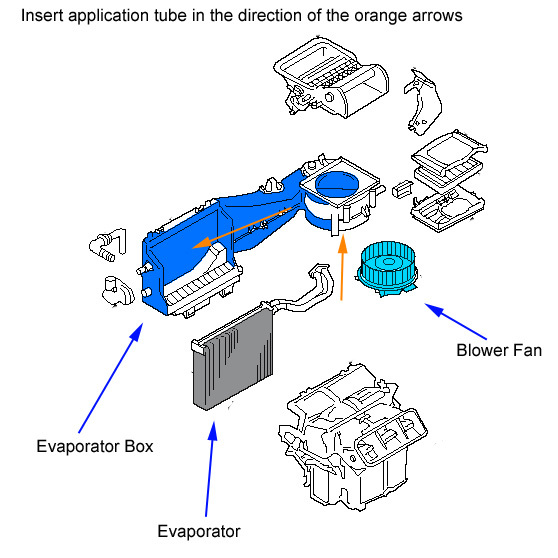 Cleaning solution will drain through the drain tube of the evaporator housing. After the 20 minutes are complete, open windows to allow fresh air to enter vehicle. Turn on fan to maximum setting with A/C setting in ON position for approximately 1 minute to dry system. Treat your system once a year or as necessary to clean the air conditioning system and keep your cabin air clean, healthy and smelling fresh! If you think all of this is too difficult or too much trouble, we recommend you try Klima Cleaner ETU. ETU stands for "Easy to Use". It contains the same powerful and effective ingredients as Klima Cleaner Pro, but applies like a fogger. While it won't physically clean buildup of contaminants on the evaporator, it will apply it's disinfecting formula throughout the cabin and HVAC system eliminating odors caused by mold and fungus. It's also not a bad idea to apply between applications of Klima Cleaner Pro. The following video shows Klima Cleaner being applied to a vehicle in which the blower fan was removed for easy access to the evaporator core.